And you can do it by making your own free app. 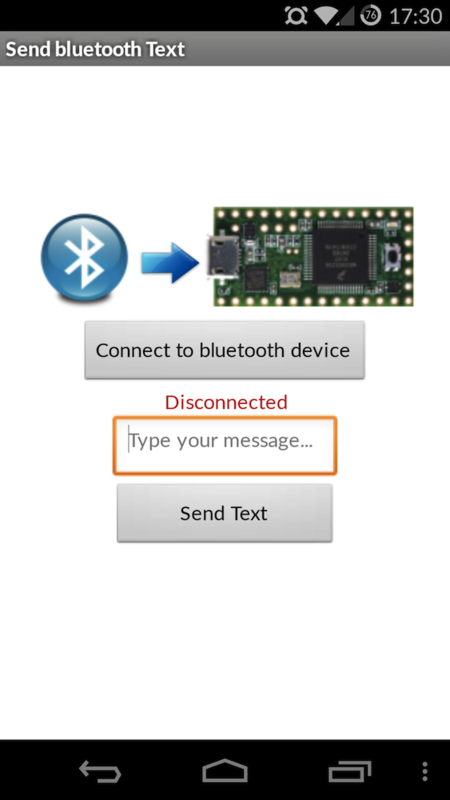 Yes, you can easily control you teensy from your android device using Bluetooth. And, its cheap. I recently moved over from an iphone to the Android OS. I did this for many reasons, but primarily I was extremely dissatisfied with the locked down nature of the standard iphone/apple experience. I wanted control over the phone as an interface with my microelectronics projects. Android allows us to do that without all the nonsense of licences and deployment issues that apple forces us to go through. So, hello fun and playground, goodbye to spending so much time on sorting out stuff to make it happen. This site uses a GUI, so its perfect for those not wanting to get into coding for their app. There are some examples already on the site and video tutorials. Took me less than an hour from start to deployed app working on phone.